2.2 How to contact us. 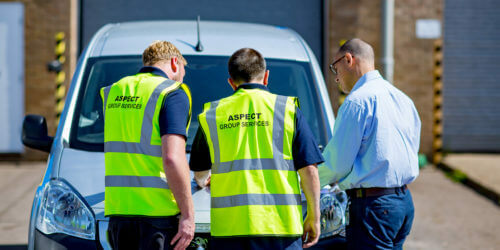 You can contact us by telephoning our customer service team on 01953 660550 or by writing to us at Aspect Group Services Ltd, Unit 11, Wymondham Business Park, NR18 9SB or by emailing us at enquiries@aspectgroupservices.co.uk. 3.4 We only sell to the UK. Our website and brochure are solely for the promotion of our products and services in the UK. Unfortunately, we do not accept orders from, deliver or provide services to addresses outside the UK. 4.1 Products and services. Products are delivered as part of our services to you. Products cannot be purchased separately from our services. 4.2 Products may vary slightly from their pictures. The images of the products on our website and in our brochure are for illustrative purposes only. Although we have made every effort to display the colours accurately, we cannot guarantee that a device’s display of the colours or a picture in our brochure accurately reflects the colour of the products. The product delivered as part of our services may vary slightly from those images. 4.3 Made to measure services. Our services are made to measure. We will carry out all measurements in connection with the products and services required before you place your order with us. 7.3 Services provided during the cooling off period. You may choose to accept commencement of our services during the cooling off period (see clause 8.5) in which case your consent to do so must be confirmed to us in writing and in advance of commencement. Should you subsequently choose to cancel during the cooling off period you will be responsible for payment of services received up to point of cancellation (see clause 9.6). 7.5 If you are not at home during performance of the contract .Prior to commencing our services to you we will discuss and agree with you any times that you are required to be at home when we deliver the products and/or carry out our services. 7.9 What will happen if you do not give required information to us. We may need certain information from you so that we can supply the products to you. If so, this will have been told to you in the course of email exchanges or other written correspondence. We will contact you in writing to ask for this information. If you do not give us this information within a reasonable time of us asking for it, or if you give us incomplete or incorrect information, we may either end the contract (and clause 10.2 will apply) or make an additional charge of a reasonable sum to compensate us for any extra work that is required as a result. We will not be responsible for supplying the products or our services late or not supplying any part of them if this is caused by you not giving us the information we need within a reasonable time of us asking for it. 7.11 Your rights if we suspend the supply of products and services. We will contact you in advance to tell you we will be suspending supply of the product and services, unless the problem is urgent or an emergency. If we have to suspend the product and/or services for longer than 30 days we will adjust the price so that you do not pay for products or services while they are suspended. You may contact us to end the contract for a product or services if we suspend it or them, or tell you we are going to suspend it or them, in each case for a period of more than 30 days and we will refund any sums you have paid in advance for the product and services in respect of the period after you end the contract. 7.12 We may also suspend supply of the products and services if you do not pay. If you do not pay us for the products and services when you are supposed to (see clause 12.4) and you still do not make payment within 5 days of us reminding you that payment is due, we may suspend supply of the products and services until you have paid us the outstanding amounts. We will contact you to tell you we are suspending supply of the products and services. We will not suspend the products and services where there is a valid dispute regarding the unpaid invoice (see clause 12.6). We will not charge you for the products and services during the period for which they are suspended. As well as suspending the products and services we can also charge you interest on your overdue payments (see clause 12.5). 8.5 How long do I have to change my mind? You have 14 days after the day we email or write to you to confirm we accept your order. You may choose to accept commencement of our services during this time (see clause 7.3)however, once we have completed the services you cannot change your mind, even if the period is still running. If you cancel after we have started the services, you must pay us for the services provided up until the time you tell us that you have changed your mind. 8.6 Ending the contract where we are not at fault and there is no right to change your mind. Even if we are not at fault and you do not have a right to change your mind (see clause 8.1), you can still end the contract before it is completed, but you may have to pay us compensation. 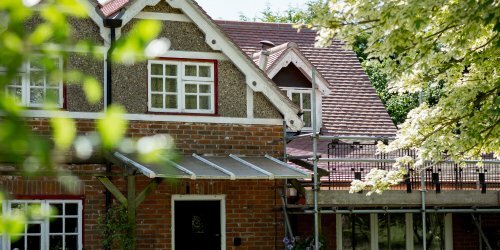 Our contract for services is completed when we have finished providing the services and installing the products and you have paid for them. 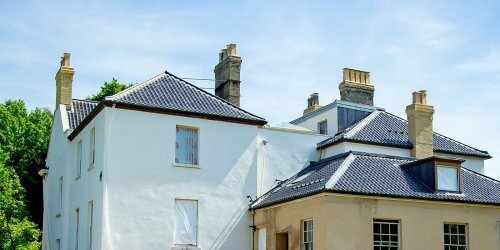 If you want to end a contract before it is completed where we are not at fault and you have not changed your mind, just contact us to let us know. The contract will end immediately and we will refund any sums paid by you for products or services not provided but we may deduct from that refund (or, if you have not made an advance payment, charge you) all losses including loss of profit, costs (including the cost of all labour and materials used), damages, charges and expenses resulting from cancellation. (a) Phone or email. Call or email your contract administrator using the contact details provided in your quotation. Please provide details of what you bought, when you ordered or received it and your name and address. (b) By post. Write to us at Unit 11 Chestnut Drive, Wymondham Business Park, Wymondham, Norfolk NR18 9SB for the attention of the contract administrator on your quotation including details of your order and your name and address. (b) We may deduct from any refund an amount for the supply of our services for the period for which they were supplied, ending with the time when you told us you had changed your mind. The amount will be in proportion to what has been supplied, in comparison with the full coverage of the contract. 12.4 When you must pay and how you must pay. We accept payment with most major credit and debit cards. For services (and their connected goods), you must make an advance payment of [25%[ [50%] of the price of the goods and/or services at the time we accept the order or within 3 Business Days of such acceptance, and before any goods and/or services under the contract are provided. We will invoice you for the balance of the price according to the payment schedule set out in our quotation or, if there is none when we have completed our services to you and such invoice must be paid within 7 calendar days after the date of the invoice. 12.5 We can charge interest if you pay late. If you do not make any payment to us by the due date we may charge interest to you on the overdue amount at the rate of 4% a year above the base lending rate of Barclays Bank Plc from time to time. This interest shall accrue on a daily basis from the due date until the date of actual payment of the overdue amount, whether before or after judgment. You must pay us interest together with any overdue amount. 13.2 We do not exclude or limit in any way our liability to you where it would be unlawful to do so. This includes liability for death or personal injury caused by our negligence or the negligence of our employees, agents or subcontractors; for fraud or fraudulent misrepresentation; for breach of your legal rights in relation to the products as summarised at clause 11.2 and for defective products under the Consumer Protection Act 1987. 15.3 Nobody else has any rights under this contract (except someone you pass your guarantee on to). This contract is between you and us. No other person shall have any rights to enforce any of its terms, except as explained in clause 15.2 in respect of a relevant guarantee. Neither of us will need to get the agreement of any other person in order to end the contract or where we make changes to these terms.